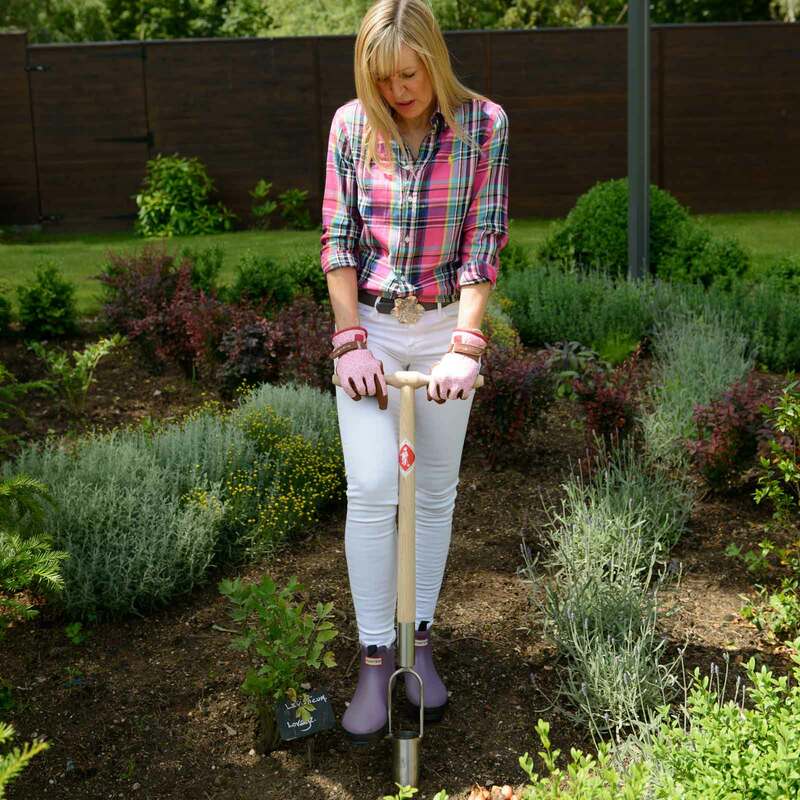 The Sneeboer Timber Bulb Planter is an essential tool when planting large quantities of bulbs with a clever cone design and easy to use long handle it will certainly make light work of your bulb planting. When you've got plenty of bulbs to plant - just think of think of that colour explosion a few months down the line - then the Sneeboer bulb planter really steps up to the plate. 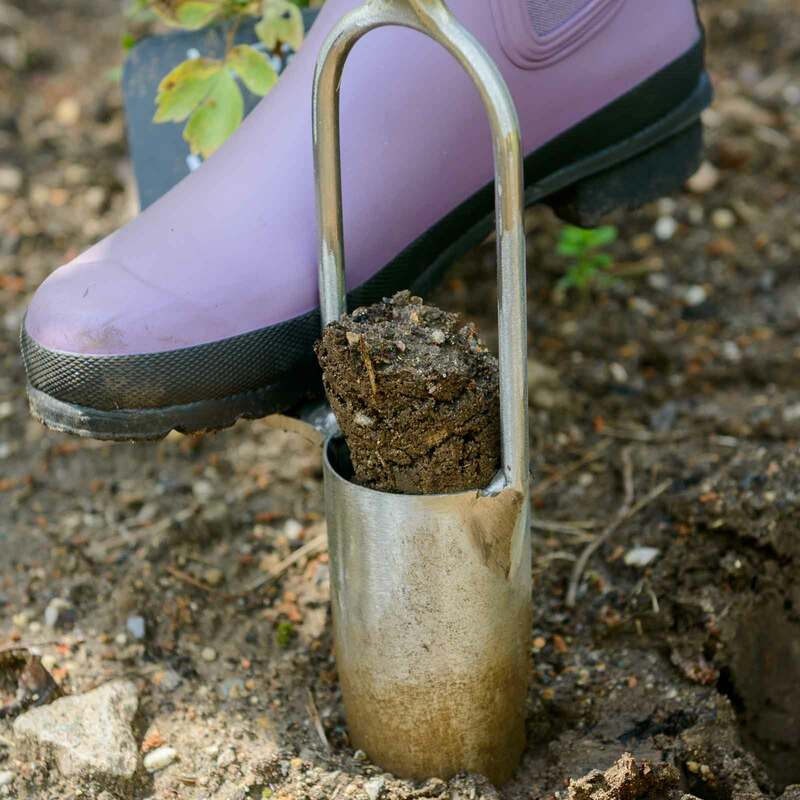 Just insert the 12.5cm deep, 6cm diameter stainless steel cone it into the ground where you want to plant your bulbs, lift out the clod of earth, pop your bulb into the hole, then replace the clod of earth which is released when you make the next hole. But don't think the Sneeboer timber bulb planter will be holed up in the potting shed gathering cobwebs outside of the bulb planting seasons of autumn and spring; this versatile plante re-invents itself as a potato planter when all your bulbs are in! Very expensive but looks and functions very well. Durability of the wooden handle and how it is connected to the metal sleeve is a cause for concern if the usage is high. As anno domini creeps on we bought this product to plant in leeks. It worked a treat and saved the old backs from crouching/bending. 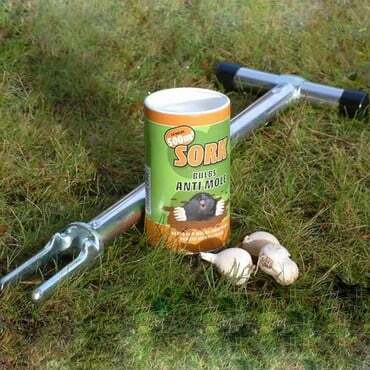 It will be used for bulb planting at the appropriate time. We have had the potato planter from the same range for many years and it is one of our favourite garden tools. They are solidly made. They are not cheap to buy but should last a lifetime. I can thoroughly recommend. I recently move to a house with 3 plus acres and have planted woods then I got over a thousand bulbs to plant namely daffodils. This planter saved my back and made planting much easier. The only fault is the metal head soon starts to move around in the shaft of the handle but to date has not fallen out. Overall it is a very well made tool and would highly recommend it. It is a shame they do not make a small diameter cutting head for small bulbs. 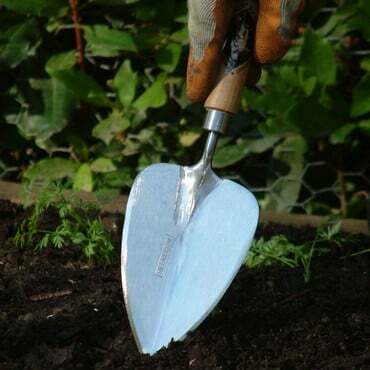 Editors Choice Bulb Planter - The Sneeboer Timber Bulb Planter has the best handle of the lot - it is easy to put your back into the job with its good design. 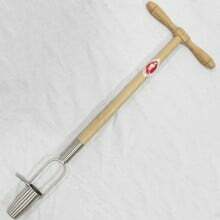 The tool is 90cm long with a hand-sharpened, stainless-steel cone, measuring 12.5cm deep and 6cm in diameter. The cone is sharpened by hand, and you can feel the quality of this tool. 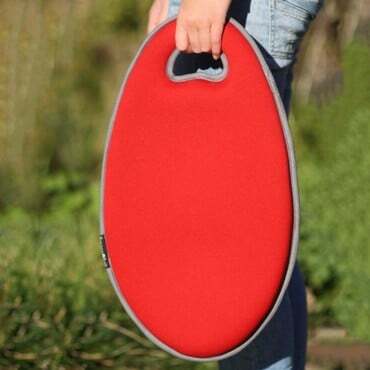 This would definitely last you a lifetime, and is comfy to work with in the garden for hours.